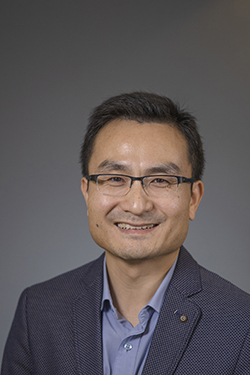 [2019-03-04] UCMR congratulates Yaowen Wu, Professor at the Department of Chemistry and principle investigator at UCMR to the Göran Gustafsson Prize in Molecular Biology 2019! In the other areas of research these young scientists will be honoured: Petter Brändén (mathematics), KTH Stockholm, Anders Johansen (physics), Lund University, Björn Högberg (chemistry), Karolinska Institutet, Kristian Pietras (medicine), Lund University. Each awardee will receive SEK 5,100 000 as research funding and a SEK 250 000 personal prize. In its motivation, the Göran Gustafssons Stiftelsen för naturvetenskaplig och medicinsk forskning wrote in the press release publishe today, that Yaowen Wu receives the prize ”för sina innovativa molekylära studier av intracellulär transport och autofagi” (for his innovative molecular studies of intracellular transport and autophagy). 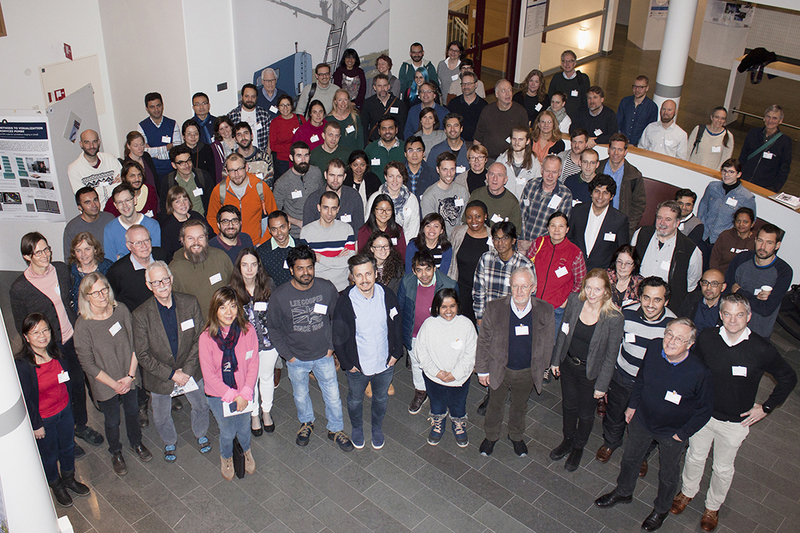 For the 10th time, scientists at Umeå University met for the UCMR (Umeå Centre for Microbial Research) annual retreat on the 10th of January 2019. Around 130 participants had accepted the invitation and attended the UCMR Day 2019 at Bergasalen, Norrland University Hospital. In his introduction, UCMR Director Bernt Eric Uhlin recalled the vision that the initial UCMR Consortium of 15 Principal Investigators formulated more than 10 years ago when launching a joint scientific programme: “To establish a world-leading and sustainable science environment promoting cutting-edge biomedical research in molecular infection medicine at Umeå University”. The UCMR programme was in 2008 selected for funding during ten years by the Swedish Research Council (VR) as the UCMR Linnaeus Programme. A decade later, the evaluation of all the Linnaeus centres is on the agenda of VR and BEU informed about the time plan of the evaluation during 2019 and gave a resumé over the last 10 years of UCMR activities. Welcome to the UCMR DAY 2019! Place: Bergasalen, University Hospital, South Entrance, "Kvinno-barn-kliniken"
The final programme is now published! 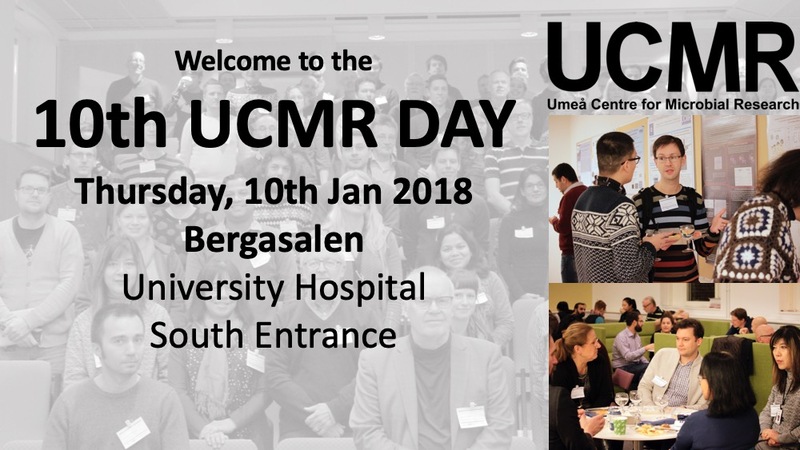 Read more: Welcome to the UCMR DAY 2019! [2018-09-10] Fredrik Almqvist, Professor in organic chemistry at Umeå University, and his American research colleague Christina Stallings, and UCMR visiting researcher receive SEK 24 million from the National Institutes of Health (NIH) for research on combating infections of the most common type of tuberculosis bacteria. The spatial and temporal dynamics of proteins or organelles plays a crucial role in controlling various cellular processes and in development of diseases. Yet, acute control of activity at distinct locations within a cell cannot be achieved. 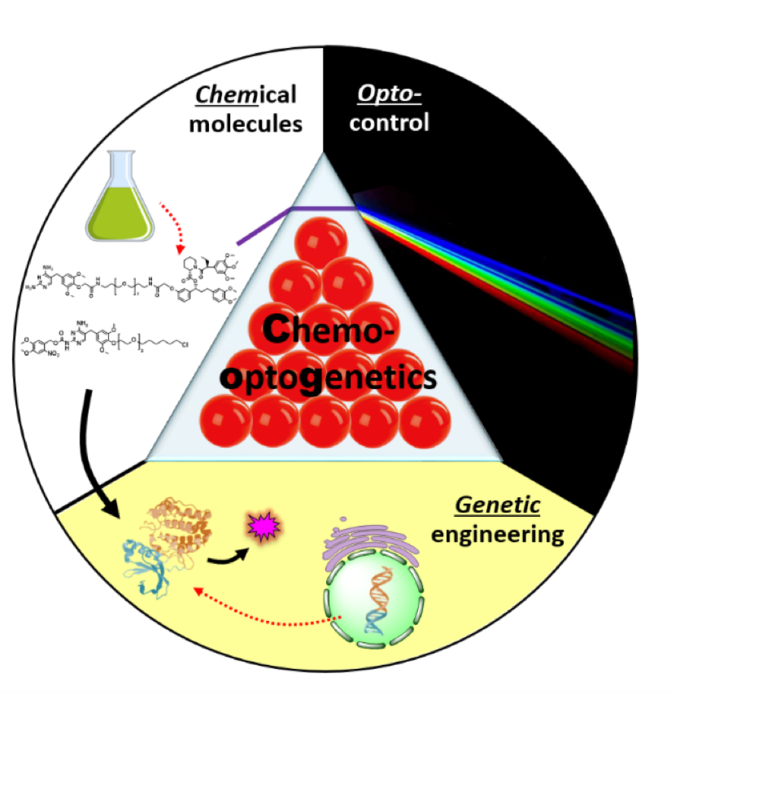 In the journal Angewandte Chemie, scientists from Umeå University (Sweden) and the Max Planck Institute of Molecular Physiology (Germany) present a new chemo-optogenetic method that enables tunable, reversible, and rapid control of activity at multiple subcellular compartments within a living cell.